Governor, 1917-21, first in state nominated by a Democratic primary, N.C. Attorney General, member state house. Home stands 1/2 mi. S.W. 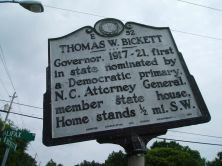 To Thomas W. Bickett, the first North Carolina governor to reach the office by way of a statewide party primary, fell the task of leading the state through World War I. The “War Governor” (one of several Tar Heel Chief Executives to share that nickname) was born on February 28, 1869, in Monroe to druggist Thomas Winchester Bickett and his wife, the former Mary Covington. His father died when young Bickett was thirteen years old. Educated in the public schools of Monroe and at Wake Forest College, where he graduated in 1890, Bickett himself taught in public schools in Marion and Winston-Salem before studying law at the University of North Carolina in 1892. 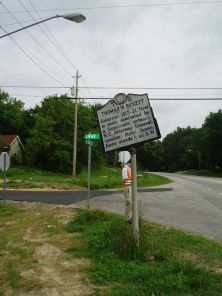 The following year he was admitted to the bar and in 1895, after working briefly in Monroe and Danbury, he moved to Louisburg, where he joined an already successful practice. In 1898 he married Fannie Yarborough of Louisburg; only one of their three children survived infancy. In 1906 Bickett was elected to represent Franklin County in the state House. In his single term he made his mark as the sponsor of the “Bickett Bill,” which set aside a half-million dollars to fund land purchases and building construction to facilitate care for the mentally handicapped. At the Democratic convention in Charlotte in 1908 Bickett drew acclaim for his speech nominating Ashley Horne for governor and was himself nominated for attorney general. In his two four-year terms in that office, Bickett successfully defended the state’s interests in almost 400 cases before the state Supreme Court and five cases before the United States Supreme Court, including a boundary dispute with Tennessee. In the 1916 Democratic primary for governor, the first held since the enactment of the primary law the previous year, Bickett defeated Elijah L. Daughtridge and in the fall defeated Republican Frank A. Linney. In his inaugural address in 1917 Bickett laid out a set of recommendations with attention given to moving farmers from tenancy to land ownership, to the importance of agricultural education, to the need for telephones in all rural homes, to an increase of the school term from four to six months, to the need for increased spending on public health, and to prison and hospital reform. Bickett’s initiatives met remarkable success with the legislature adopting forty of forty-eight proposals during his term. 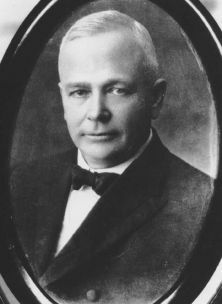 At the conclusion of his term in office Bickett set up law practice in Raleigh with Attorney General James S. Manning. On December 27, 1921, three weeks after he had attended the reception for Allied commander Marshal Ferdinand Foch in Monroe, the ex-governor suffered a stroke at his home in Raleigh and died the following day. His body lay in state in the Capitol before the funeral in Raleigh’s Christ Church and burial in Louisburg.